One of the few remaining things from Copenhagen’s Cultural Capital ’96 activities is the Grøn Tuborg Labyrinth in the heart of Copenhagen. The labyrinth was originally an ad for Grøn Tuborg in 1992. One of Peter Wibroe’s most successful ones! 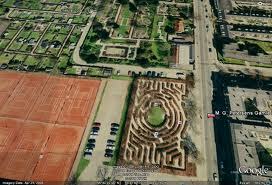 When I started at the brewery as a young product manager everybody was talking about making the labyrinth for real. But nothing happened. In 1994 he got an idea: Get the Tuborg Fund to finance the building of the labyrinth and hand it overs as Carlsbergs official donation for to Cultural event. By doing so Carlsberg would become one of the biggest sponsors without giving money. And get the public sympathy by donating a popular attraction… True Tuborg Spirit. Thomas spend the following year lobbying the Municipality of Copenhagen, the Municipality of Frederiksberg (who eventually ‘got’ the labyrinth) and internally at Carlsberg. In 1995 it was made real and handed over by P. J. Svanholm to Copenhagen (Frederiksberg) as Carlsberg’s contribution to Cultural Capital ’96 activities. This ‘gift’ headlined all major newspapers, reached the news on National TV in several occasions. 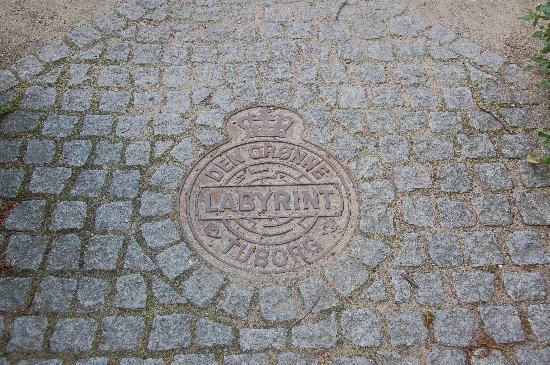 In 1996 the Labyrinth got a diploma from The Association for the Beautification of Copenhagen for the Grøn Tuborg Layrinth’s beautification of the Capital. The project was established on funds from the Tuborg Foundation and the maintenance financed by the city (who still runs it as a very popular tourist attraction). The Grøn Tuborg Labyrinth is only one of many odd activities Thomas made in order to vitalize the Grøn Tuborg and strengthen its position as Denmark’s number 1 pilsner. Other events were: ‘National Tree planting day’, the world’s first ‘Frog Park’, ‘re-use your Christmas tree’ and so on. The Tuborg Foundation financed these events and became a heavily exploited financing source to my extra brand building activities for Grøn Tuborg. To mutual benefit.